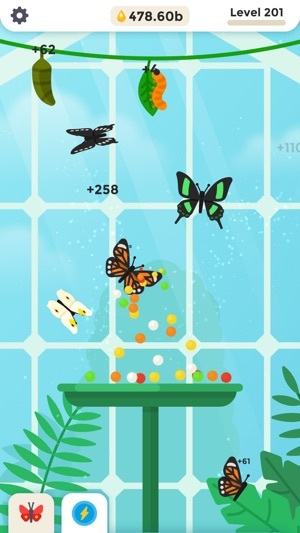 Try the most relaxing idle game: discover, collect and hatch lovely butterflies to increase your nectar income! 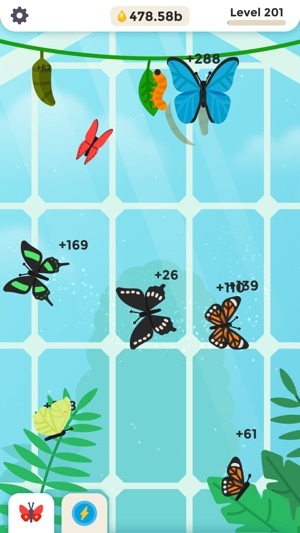 Added 14 new butterflies, plus some bug fixes and minor tweaks. 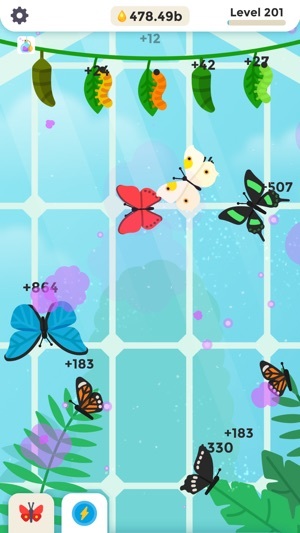 The game is adorable, the 3D butterfly models are super cute and very nicely animated. Kudos! The background and foreground are very cute as well. A also enjoy the combination of 2D art for the caterpillars and cocoon. It’s a good mix of art from both 2D and 3D mediums. As an idle game, it also excels. It moves at a great pace, if you check them once a day and leave them for the rest it continues to maintain itself. Though, it can get a bit boring. Once more that one of each are hatched, there’s not much else to do other than repeat the cycle over and over. A good addition may be, extra spots you can buy with the in-game nectar for your butterflies to sit on. i.e. perches, branches, plants, etc. Doing so would liven up the space, and fill up the empty space of the greenhouse wall. Another would be to have butterfly events. With Halloween coming up, a lot of games are having holiday events. Perhaps there could be a pumpkin butterfly or a skeleton butterfly, something spooky, available ONLY during Halloween. Anyway, good game! Could use some additions. 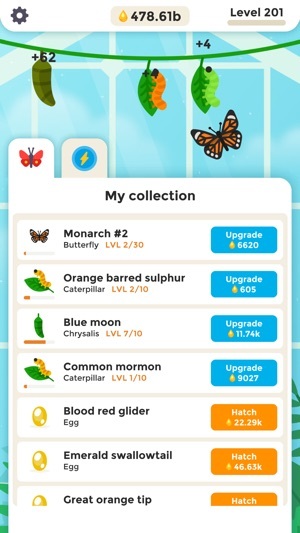 I tried your app and it is amazing, however I do have to say that there should be a setting to purchase decor, arrange your butterflies, and increase the species, as well as some facts for each one. Can you tell me your website so I could send you ideas? It would be nice! Loving your app so far! I love this. It’s one of the best idle games I’ve ever played. 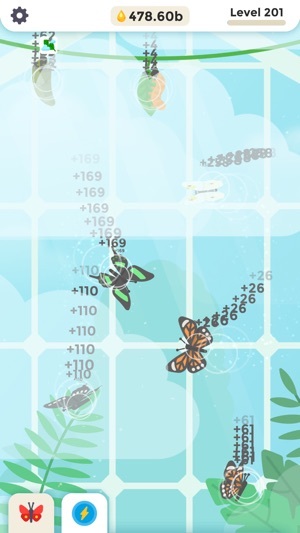 I have some problems falling asleep, so I just open the app and watch my butterflies to relax. And the butterflies are so pretty!!! Maybe you could make another idle game with dolphins and fish!? I’d get something like that too!! !